Soup hasn't always been at the forefront when t comes to summer time. This recipe will make you think twice! 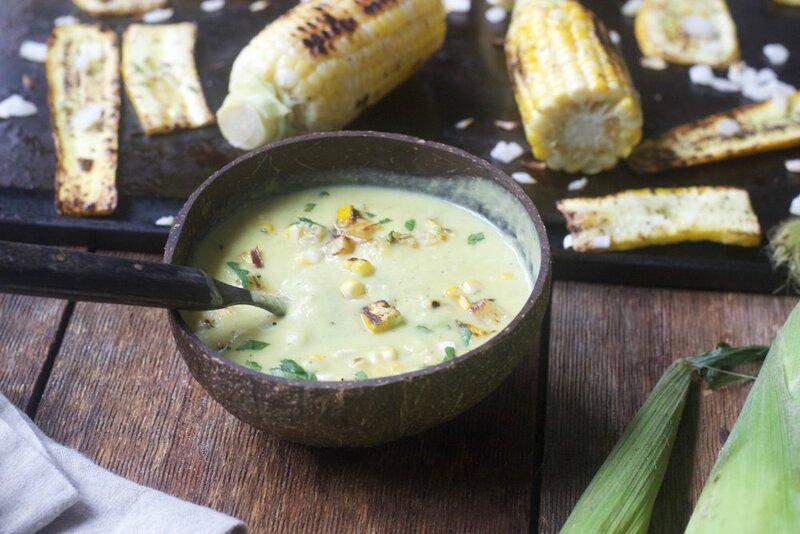 Amazing corn and summer squash mix and mingle in classic chowder preparations to make a delightful, yet filling, soup for all. Grab a sauce pot, le creuset dutch oven or something that can hold about a gallon of product and a Baking Steel Griddle. Take the corn, zucchini and squash and season with olive oil, salt and pepper. Get your Griddle nice an hot and sear the veggies real quick. Remove and diced the zucchini and squash and remove the kernels from the corn. Saving about a 1/4 c of the veggie mix, throw the rest into your soup cooking vessel of choice with oil, celery, onion and garlic. Season liberally with salt, pepper and thyme. Sweat out that delicious mix for about 5-6 minutes. Pour vegetable stock in and cook on medium heat, slow simmer for about 5 more minutes. Take entire soup pot and blend on high until smooth and creamy. Return to pot and garnish with reserved corn, squash and zucchini. A little parsley is a nice finish too!